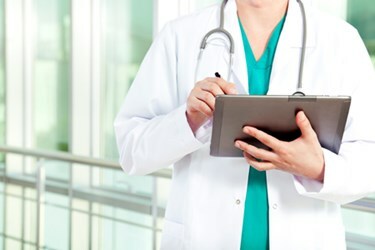 As the buzz grows around interoperability initiatives such as the Trusted Exchange Framework and Common Agreement (TEFCA), a provision under the 21st Century Cures Act that calls for establishing national data exchanges to make information flow more “seamlessly,” many of us envision a future of flawless care collaboration. We know that with true interoperable healthcare technology systems, integrated HIT can be leveraged to reduce medical errors, improve patient care and optimize epidemiological research. As such, we see the potential for a vastly improved healthcare industry that serves all stakeholders — from doctors and their collaborative partners to patients — in the value chain. Given the potential of total interoperability, our excitement is understandable. Many believe the establishment of a national registry for the purposes of data exchange should be the healthcare industry’s ultimate goal, especially as we shift toward value-based care. Unfortunately, the reality is that total, ubiquitous interoperability within the context of a shared, national data registry is likely to fall short of these utopic visions and could even be harmful to independent HIT vendors and physician practices. TEFCA and other modern-day legislative efforts to promote interoperability — including the recent transition of the “Meaningful Use” program into the “Promoting Interoperability” initiative — are positive developments for our industry. As the move to share information gains traction, independent physician practices will have to develop new habits and skillsets to work congruently with their hospital partners, and vice versa. At InSync Healthcare Solutions, we’re fully aware of the importance of strengthening integrated care by tightening technology workflows. As we noted in our comments submitted to the Office of the National Coordinator for Health Information Technology (ONC) on Feb. 20, TEFCA is a step in the right direction and underscores the importance of achieving true interoperability among providers and practices. Furthermore, we also applaud the healthcare industry’s efforts to improve the scope of care, through better collaboration and information sharing. But the creation of a national data exchange could also backfire in a big way, increasing security risks, stifling innovation and negatively impacting small, independent EHR vendors. A national data exchange — created by laws such as TEFCA — could also place more financial pressure on independent practices. The threat of more monetary penalties would certainly strain physician groups and independent practices, which are already strapped for cash in most cases. Security would also be a natural concern with a national data exchange. Yes, a national HIE may ease the flow of information for patients across various care settings, but the likelihood of security threats would subsequently increase. To fight against these threats, patient data would require new levels of protection by the most robust security solutions possible. And the reality is that most independent medical practices aren’t equipped, financially or otherwise, to arm themselves with such high-level protections. Despite these challenges, achieving interoperability is a worthwhile goal for the healthcare industry. There is no simple solution, but there are some best practices medical practices can employ to move toward greater interoperability on a smaller scale — without huge cumbersome regulations. Medical practices can do a better job of aligning themselves with other providers in their states, and utilizing shared networks, or platforms, so everyone has access to the same patient information. We can talk to our healthcare partners to ensure we’re sharing information effectively, such as when we’re discussing ongoing clinical issues or prescriptions. Technology also can play a role in helping independent providers to achieve greater interoperability by adopting better health IT tools that are designed for close collaboration. While most EHRs on the market today are certified and rely on the same back-end technology specifications, they don’t all “play well” together. Finally, communication with our vendors can be of great value, too. Medical practices should communicate openly with their partners about their plans for 2019 and their next steps to accommodate for greater interoperability. What are they doing to improve care coordination? Are they seeking new ways to facilitate better healthcare partnerships, such as within the context of an ACO, or between specialists and primary-care providers? The more we are aware of the opportunities and challenges of ubiquitous interoperability, the better prepared we’ll be to join the greater conversation around best practices in collaboration. Charles Hutchinson is the CFO of InSync Healthcare Solutions.